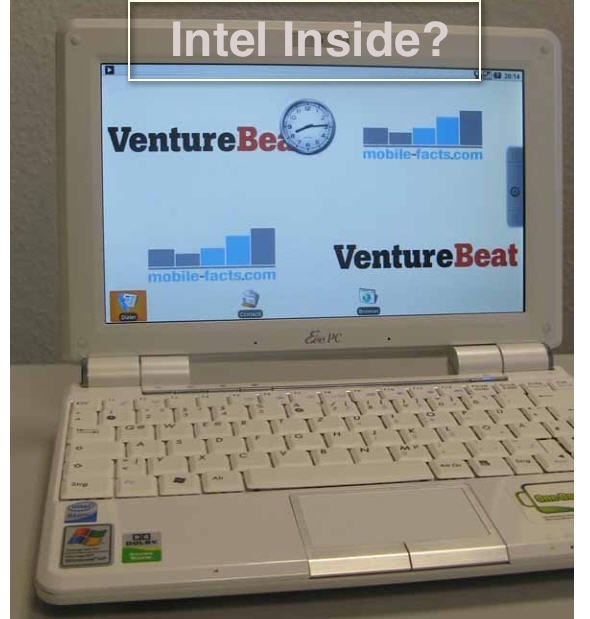 VentureBeat: "Intel wants to release Android netbooks"… in crazy world! VentureBeat has a hot, hot scoop on Intel planning Android notebooks. Could they know something we don’t, namely that Intel, a stalwart chip manufacturer, might have gone crazy and started designing and selling netbooks? Specifically, it’s looking to pave the way for the mass production of Google Android-based netbooks, a reliable source tells us. Pave the way? What, specifically, does that mean? That it wishes to prepare the world much as the aliens in Childhood’s End prepared the earth by hovering ominously over major cities for a century? That is going to make netbooks? That Android is in any way a viable operating system on the desktop? I’d say “No” on all three. Intel isn’t preparing anything for anyone. The only thing they can really do is add Linux to their default specifications for the Atom chip that manufacturers are asked follow when building hardware. They won’t make netbooks. And Linux and Android, as shown by low Linux sales of netbooks, no matter how many high hopes on the part of Linux distributors, are not what people want to buy. Imagine something like what you see in this image popping up on your grannie’s desktop. She’d wet. Intel may be offering OEM samples of Linux laptops running Atom. But that’s about it.